For almost half of my life, I’ve heard about the holy grail of football games: Pro Evolution Soccer 6. As someone that never actually played this game, I can only go by what I’ve been told about it, “Adriano pot shots, Master League was so good, it’s the greatest multiplayer game ever”, blah blah blah… this was one of the main reasons I decided to pick up FIFA 2010 as my first football game instead. As EA has continued to put out consistently decent football games, I’ve never felt the need to pick up PES despite always wanting to try it. I mean, who has money for two football games each year? Now that Konami has had several years to perfect their football game for the current generation consoles, it’s time to take a closer look to see how good the competition has become. The biggest knock against PES for most casual players is that the series has been slowly losing team licenses. 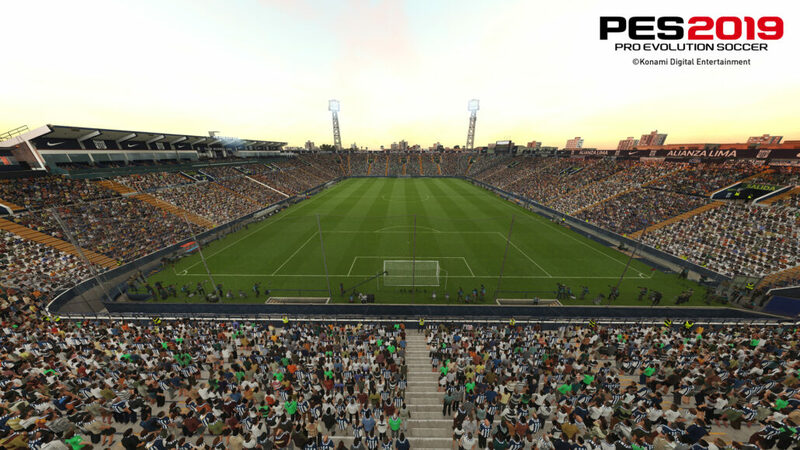 For Pro Evolution Soccer 2019, Konami announced that it no longer features the UEFA Champions League, a license they have held since 2009. Fortunately, Konami has included the ability to create your own badges and kits for your teams that may not be in the game. The PES community has always been ready to provide players with an option file that lets you turn a club like London FC back into Chelsea FC. For whatever reason, this feature is available on PC and PS4 but is not an option on Xbox One. When you are dealing with hundreds of different players across several leagues, there are bound to be a number of players with dodgy faces that just manage to slip through the cracks. Konami seems to be on the ball when it comes to adding faces a few months after launch, at least I’m hoping that’s the case. There are players (like Aaron Ramsey, for example) that have been scanned into the game yet they look nothing like they do in real life. Considering the number of licensed Premier League teams available in the game, I’m shocked that starting players like Dejan Lovren and Naby Keita for Liverpool look as bad as they do. When you judge Pro Evolution Soccer 2019, specifically playing against real people, it’s almost undeniably a great game. Coming from FIFA, I appreciate how Konami has tried to create a football simulator instead of an arcade game. The football is slow, methodical and precise. You can’t ping-pong pass your way to the third of the pitch unless you want to get dispossessed very easily. I can understand why new players may find that the game feels clunky at first, though that’s mainly due to a misunderstanding about how the game works. It takes a while to understand how weak your players are while performing actions like receiving the ball or sprinting with the ball. Players have an entire button (L2/LT) dedicated to playing manual shots and passes. As a former full manual player in FIFA, I’m so happy this is an option as there are so many times where an assisted pass won’t go precisely where you need it to go. You also have the option of taking control of the keeper at any point which can be extremely helpful during one-on-one situations and free-kicks. I did have some issues with the cursor nomination in the game as the default settings make your cursor go all over the place. Thankfully, you can negate this by learning to nominate using the right stick. The amount of options you have on the pitch is intimidating at first, especially when you realise that you won’t learn about a lot of them unless you look up some guides online. When it comes to playing Pro Evolution Soccer 2019 online, you really only have two options: Online Divisions and myClub. There is a third option, 3v3 co-op, but I haven’t been able to find a single person to play this mode with over the internet. Online Divisions has you playing against people across a season of football (shortened to ten games) where you can get promoted, relegated or simply remain in your current division. The main problem with this mode is the lack of players. I’ve had trouble finding people within my league, forcing the game to pair me up against someone who was much better than me. Obviously, this type of situation is far from ideal, but if there isn’t anyone available then it’s either play a game that you will surely lose or not play anyone at all… I’m not quite sure which option is worse, to be honest. 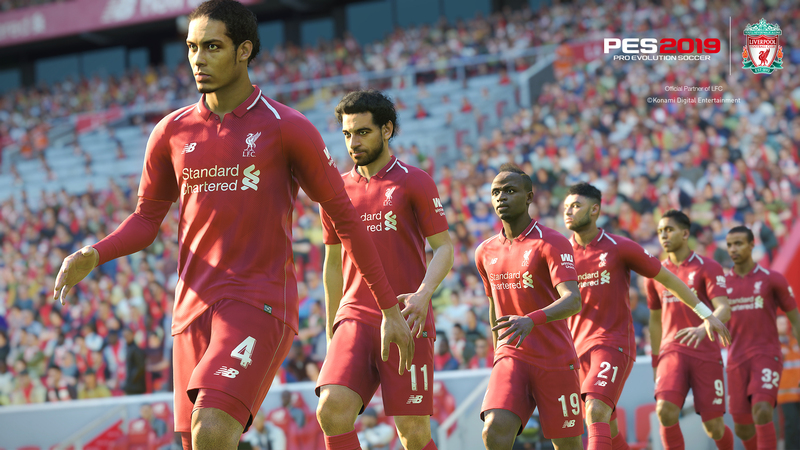 myClub is the main multiplayer mode that the developers want everybody to play in Pro Evolution Soccer 2019. 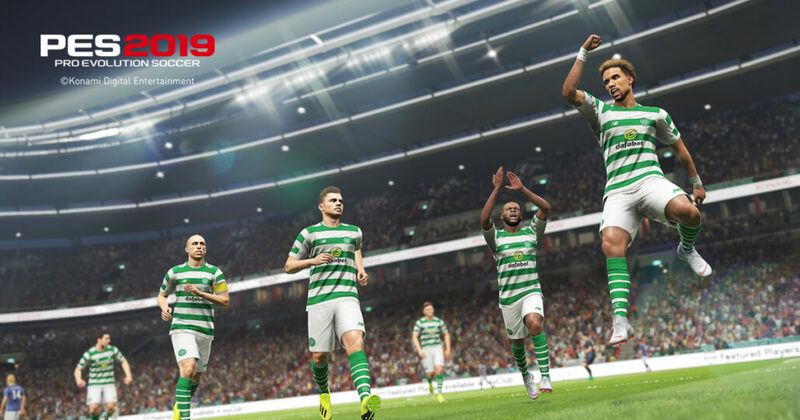 Players can build their own team and use it to play against online and offline opposition. You didn’t think you’d get to choose the exact players you want, right? Of course, you can’t do that. Instead, you have to save GP or purchase myClub Coins in order to acquire players. That’s not all the in-game currency does, you can also: hire new managers, help players build back their stamina after playing matches, sign players on loan and renew the contracts of both managers and players. All of this stuff sounds like a whole lot of work that I personally don’t want to do. What I hate more than anything is Konami’s need to push myClub on players regardless of whether or not you want to play it. Perform a pass for the first time in the game? You’ve unlocked 100GP! Picked Barcelona? 100GP for Tiki-Taka football! The mode is pushed on players when they start up the game to remind people that there’s a black ball spin available “for free”. You can’t escape it when playing Online Divisions as those same promotional ads will appear during loading screens. It’s not fair that people who aren’t interested in myClub have to have the mode plastered everywhere in the game. 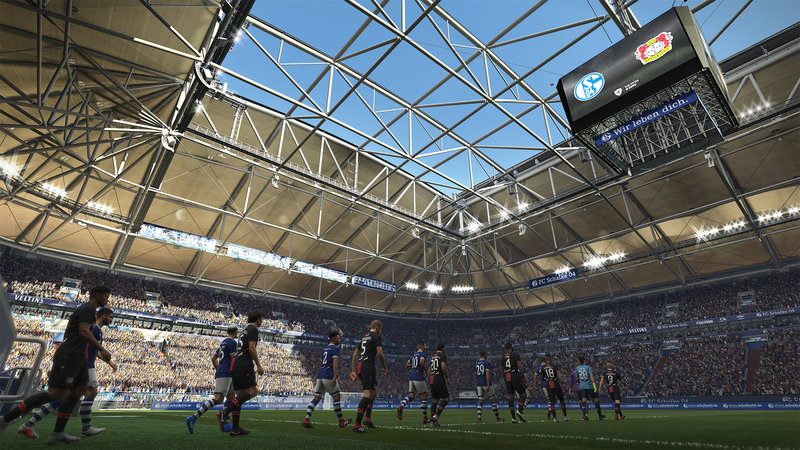 You will need to be careful when picking a region when starting up the game for the first time because Pro Evolution Soccer 2019 features region locked matchmaking. You can only play with players from the region you select at the beginning of the game. If you pick a country within Europe then you won’t be able to play someone in America or Asia, and to make things even more awkward, Konami does not allow you to change your region at any point. I’ve been playing through the Ranked Divisions mode and I have to say that the net code in Pro Evolution Soccer 2019 is certainly hit or miss. Around 50% of the time I have games where there are no network issues whatsoever, but that other 50% is filled with random lag spikes that occur every minute. There have been reports of players intentionally creating lag in the game to disrupt their opponents, though I doubt this was the case (at least it wasn’t happening in the bulk of my matches). At least there’s some single player content to fall back on: Master League, a staple game mode of PES/International Superstar Soccer since 1999. Players can create and manage their team own team of generic Master League players or choose to take over an existing club. As a manager of a football team in 2018, you are tasked with trying to achieve success and avoiding the sack. This all sounds well and good, except for the fact that you have to play every single game against the AI. Usually, that wouldn’t be a problem, but Pro Evolution Soccer 2019 features what can only be defined as a bug. The AI is so focused on going down the wing and doing low crosses into the box that in one-on-one scenarios, I’ve seen the AI literally stop as they are running into to box in order to make a pass to a player on the wing. I’d understand if the AI was trying to exploit a flaw, but they seem to go for this option even when it’s at their disadvantage to do so. This is the AI’s main plan no matter what team they are playing as. Barcelona, Manchester City, Bayern Munich, it doesn’t make any difference as that ball is going straight down the wing and low crossed directly into the box. Konami has a track record of patching the AI in other PES games, however, the way they have been dealing with the fans on social media is unacceptable. Instead of acknowledging the problem and giving a time frame of when these issues are likely to be fixed, the developers have decided to keep quiet and keep the player-base in the dark. As someone that doesn’t play very much online, these issues have currently killed off Pro Evolution Soccer 2019 for me as playing against the AI has become a monotonous experience. As per usual, Pro Evolution Soccer 2019 runs at a consistent 60FPS without any drops on the PlayStation 4 Pro. The frame rate remains constant even at 4K resolution with High Dynamic Range (HDR) support, though I do have an issue with the HDR in this game. If you turn up the brightness to what Konami recommend, the game will be far too bright to be able to play properly. Bare that in mind before jumping right into ranked play, don’t make the same mistake as I did! On a side note, I’m unsure as to why PES makes my PS4 Pro sound like a plane taking off whereas FIFA in-game doesn’t. Reviewed on PlayStation 4 Pro (code provided by the publisher). You can purchase the game for PC via Green Man Gaming and PlayStation 4 or Xbox One via Amazon.